One of the most basic things to start working on Database Cloud Service offered by Oracle (PAAS) is to create a connection to Database Cloud service from local SQL Developer and browse through the schema and database objects. 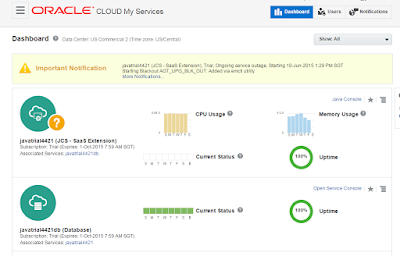 The most important and foremost step for using cloud service is to have all the information of the cloud service instance. 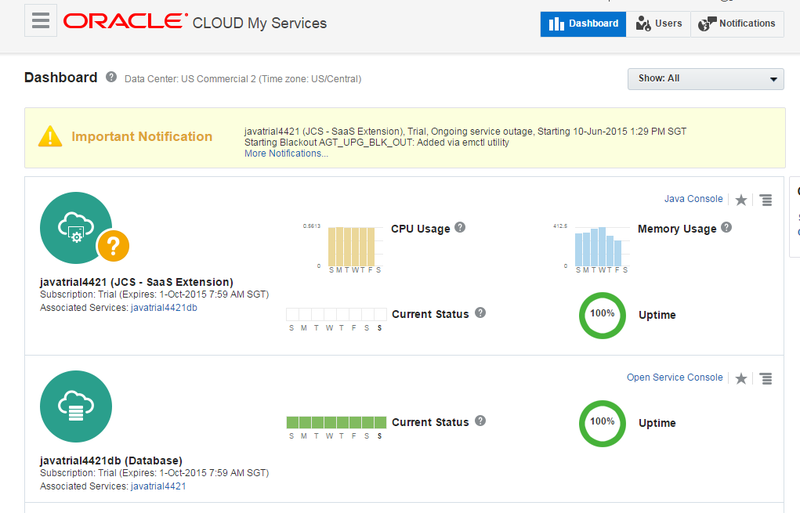 Once you logon to the service dashboard by logging into cloud.oracle.com you can see all the services allocated to your account in the dashboard. 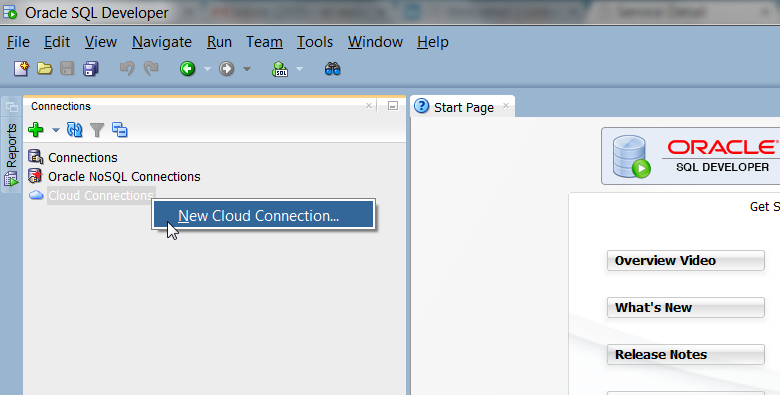 Now in order to get the information about database service, click on the database service icon. After the click , you will be taken to the database service console with its information. 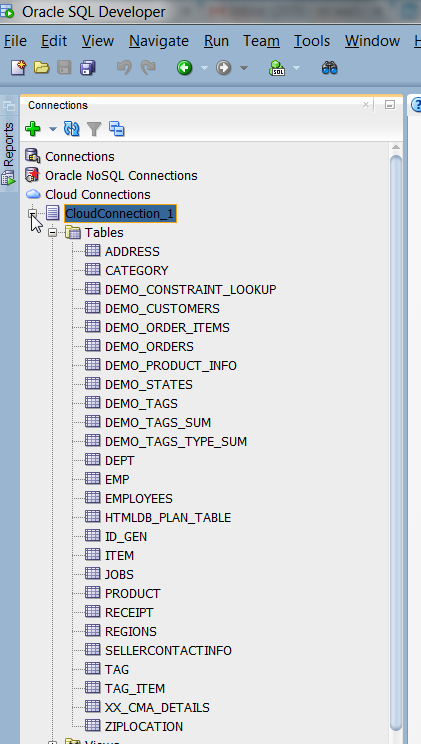 The service instance url is the complete url which is required to create the connection from SQL Developer. 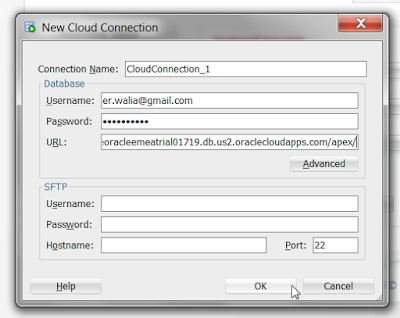 Now open the SQL Developer and create a new connection in cloud connections. Now enter the credentials and complete url into the url field. Click on OK and one can see the connection created in Connections window and click it to expand the connection. On clicking of the table, one can see its schema on the right as well as the data in the table. 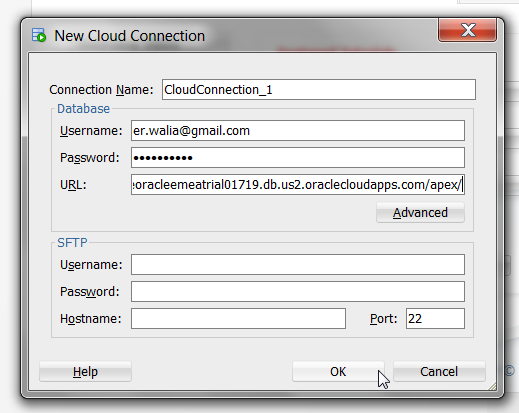 There are lots of information about oracle have spread around the web, but this is a unique one according to me. The strategy you have updated here will make me to get to the next level in oracle. Thanks for sharing this. I like the way you write. Awesome, keep it up. s information is impressive; I am inspired with your post writing style & how continuously you describe this topic. After reading your post, thanks for taking the time to discuss this, I feel happy about it and I love learning more about this topic..
Hi.. Rohan.. I just read your blog. It was a great blog and your method to write the blog is really impressive. Thanks for sharing it with us. You have shared really useful details with explanation. Thanks for your great effort. CIITN is the pioneer of education providing the best PHP training in Noida as per the current industry requirement that enables candidates to land on their dream jobs in companies worldwide. CIITN Provides best PHP training course in Noida. CIITN is a renowned training company providing the best training service and also being the best PHP training institute in Noida rendering practical knowledge through training on projects and a dedicated placement assistance for all. The course curriculum for PHP training course is designed to provide in-depth knowledge that covers all the modules for the training ranging from basic to advanced level. At CIITN PHP training in Noida is supervised and managed by industrial experts having more than 10 years of experience in handling PHP projects. CIITN training comprises of both classroom as well as practical sessions to deliver an ideal environment for students that will enable them to handle difficult and complex situation when they would step into the reality of IT sector.CIITN is an excellent PHP training center in Noida with superior integrated infrastructure and newly designed labs for students to practice and pursue training for multiple courses at Noida. CIITN institute in Noida train thousands of students around the globe every year for the PHP training at an affordable price which is customised as per each candidate’s requirement of modules and content. Very nice blog.good to wroth.. Many IT companies will make a point of having professionals trained in each of the most common programs, in order to provide installation and support regardless of which program is best for a client. It's A Great Pleasure reading your Article. USMLE Thanks For Posting. Australia Best Tutor offer different types of services at affordable price. My Genius Mind is a renowned academic portal that offers impressive academic support to the students. Dissertation Writing Services Ashford - Help in Dissertation is a remarkable academic portal that is known for offering extensive educational solutions. Parents can even Dissertation Writing Services Ashford. Live Web Experts is a remarkable academic portal that is known for offering best regulation on Accounting Homework Topic to the scholars at a meagre price. Management Tutors is one of the Assignment Help UK that has been successfully rendering amazing academic assistance to the students. 1. CakePHP shopping cart and CMS development, and Payment gateway integration. 2. CakePHP customization, maintenance, integration and upgradation. 3. CakePHP extendibles and applications for faster E-Commerce growth and profitability. Really read worthy content! Thanks for taking time to share this with us. Looking forward to learn more from you. I never comment on blogs but yours is so convincing that I never stop myself to say something about it. keep updating regularly.